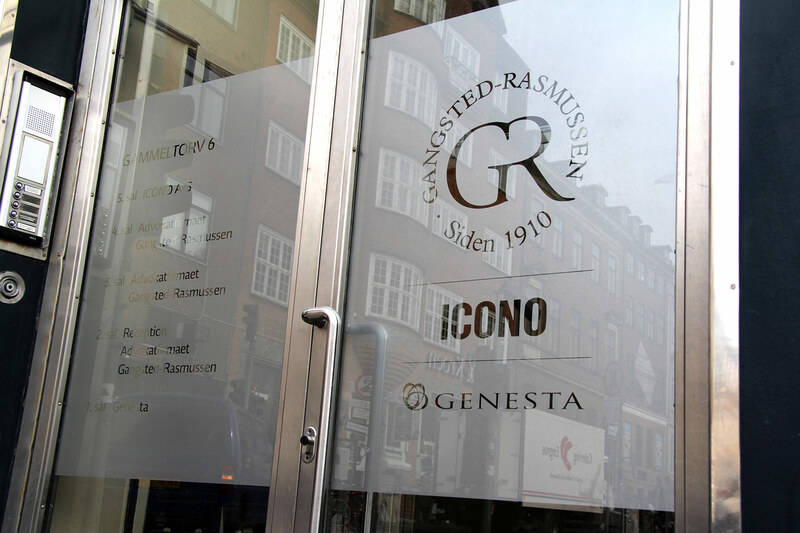 The law firm, Gangsted-Rasmussen, is one of the oldest legal companies in Denmark with a history dating back more than 100 years and experience spanning everything from legal services to real estate as well as a range of specialist fields within business law. 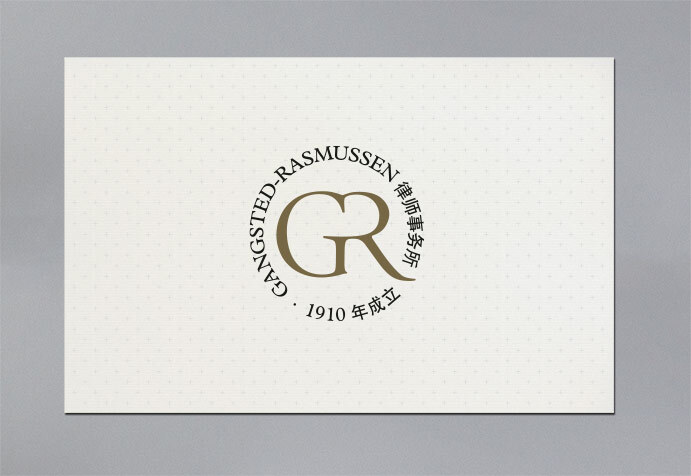 Gangsted-Rasmussen approached us because they wanted to create a new identity reflecting both the company's solid historical background, and its modern approach to the market as it is today. 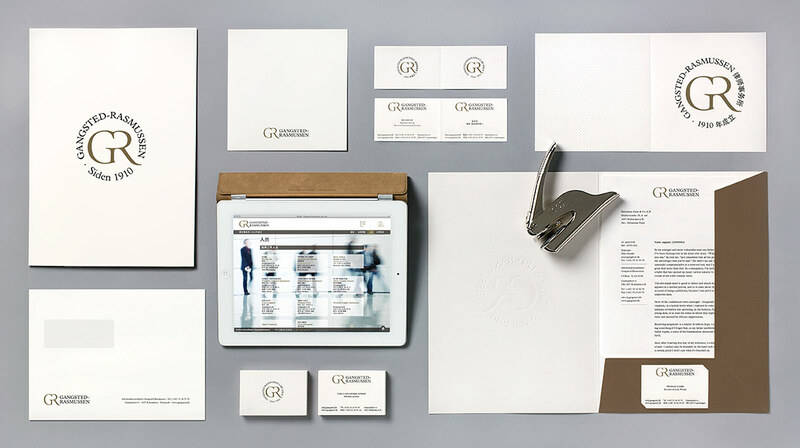 With these criteria in mind we created an identity featuring a classic monogram of the family name's initials at its core and a minimalistic, elegant look inspired by Leonardo da Vinci's timeless philosophy of simplicity as the ultimate sophistication. 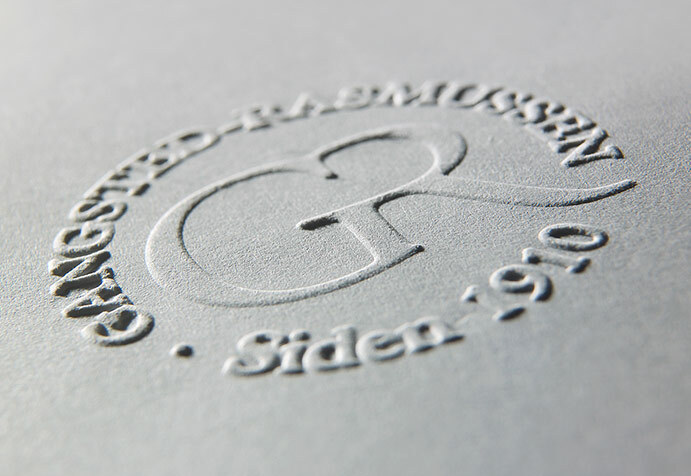 As well as this clean, simply logo, we designed a seal which also evokes a sense of the company's long history. 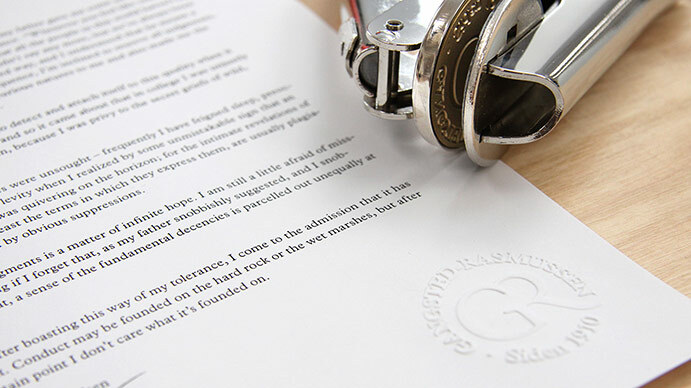 This is used in selected circumstances – and the small, hand-held embossing stamp which we had specially made should, in our opinion, be kept in the desk drawer of every director. 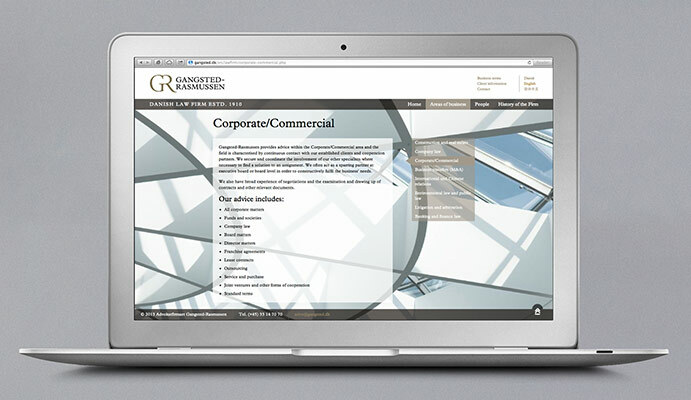 The website we designed alongside the new identity reflects the more contemporary values of the brand, but still with a respect for the history of the company. 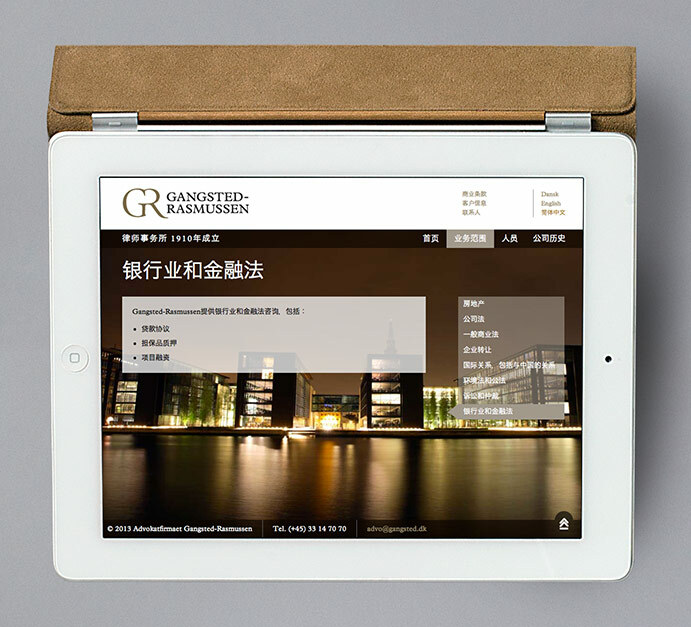 A Chinese version of the website is also available, as are Chinese versions of the logo and various printed materials.